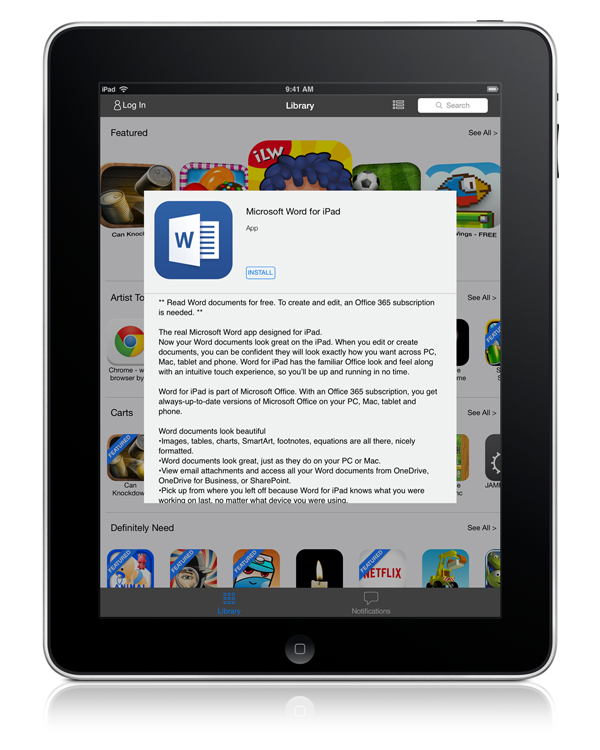 This section provides an overview of the Self Service login and notification experiences. 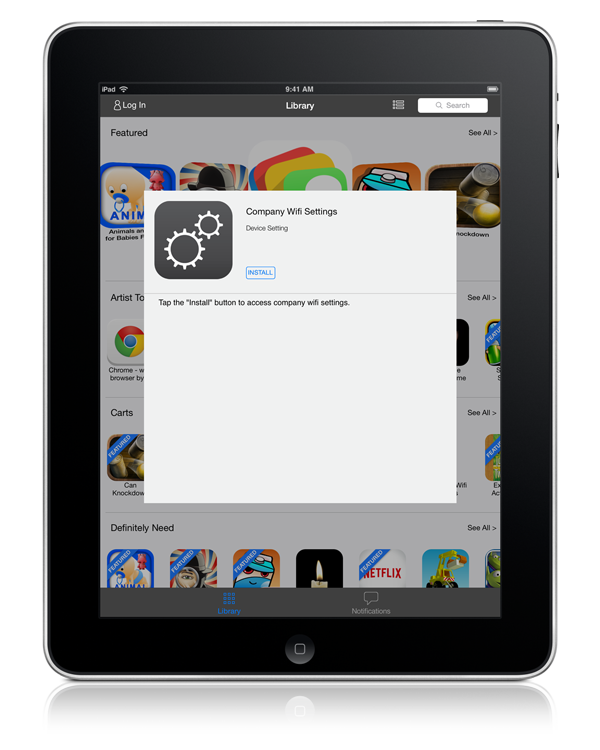 It also describes what users do to install iOS configuration profiles, apps, and eBooks available in Self Service. 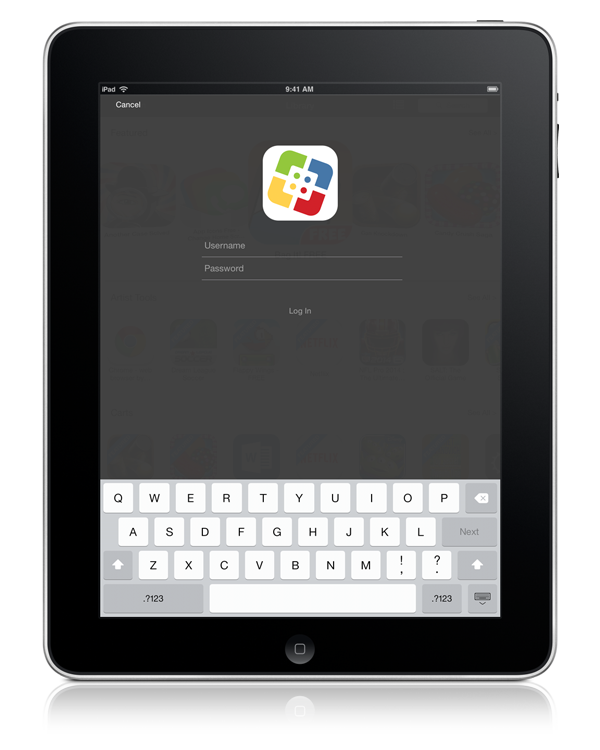 After opening Self Service Mobile for iOS, users may need to log in using their LDAP directory accounts. The login pane is only displayed if the User Login setting for Self Service is configured to require or allow login. Note: This feature is also available in the Self Service web clip. 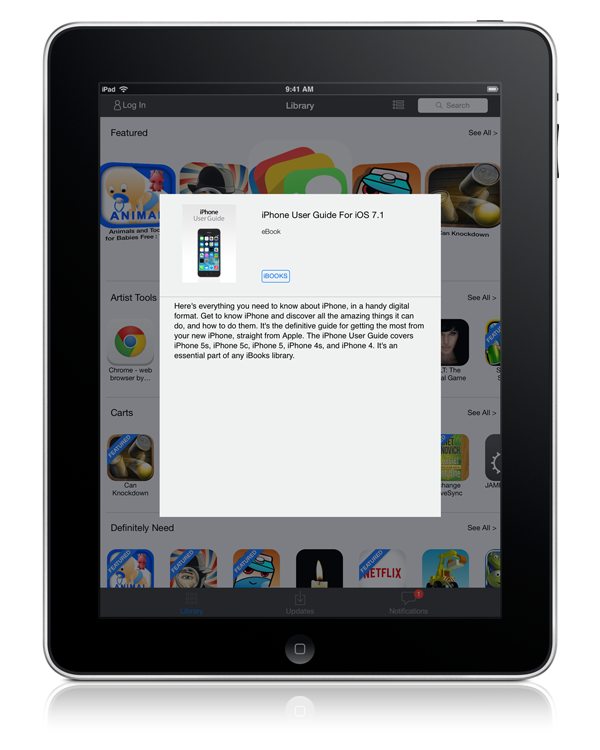 Note: This feature is only supported on mobile devices with iOS 7 or later that have Self Service installed. In Self Service, the Notifications browse button displays a badge with the number of notifications that have not been viewed by the user. Items are listed in the “Notifications” area of the app as they are added. Users can tap any item in “Notifications” to view the item. 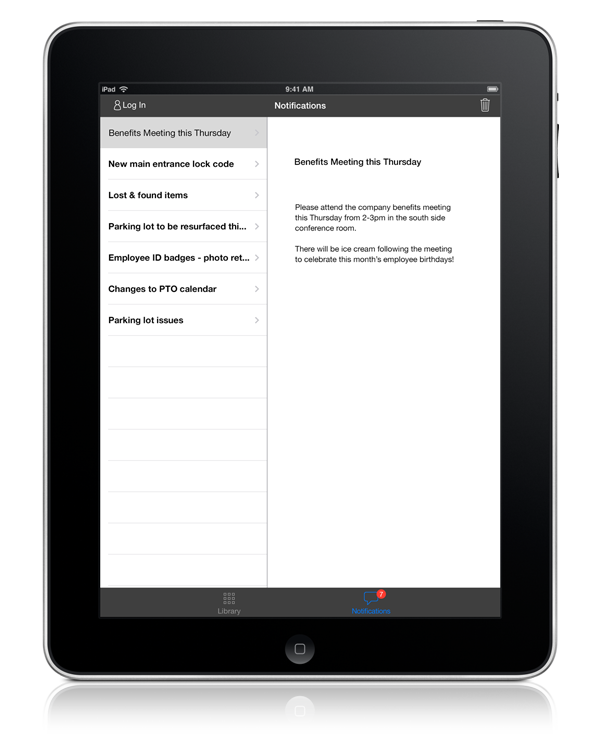 (Optional) Each notification can be configured to also display an alert and appear in Notification Center. Users can tap any notification to go directly to the item in Self Service. To install a configuration profile, users tap the button next to it. To install an app, users tap the button next to it. To install an eBook, users tap the button next to it.